We all need lights which can guide us through the darkness and show us the right direction. That is why choosing a suitable LED light is so important. However, various models of LED lights are highly popular than the traditional incandescent lights because LED lights can last 25 times longer with less energy consumption. What exactly is COB LED and what is SMD LED and of course which one is right for you. Each design has its benefits, and now I will walk you through why a person would choose one versus the other for their particular application. 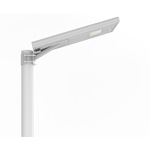 SMD refers to the term “Surface Mounted Device” LEDs, which are the utmost shared LEDs in the market. The LED chip is eternally fused to a printed circuit board (PCB), and it is especially popular because of its versatility. The PCB is built on a rectangular-shaped, flat object, which is what we usually see as SMD. If you look into SMD LED closely, you can see a small black point right in the center of the SMD; that is the LED chip. You can find it in light bulbs and filament lights and even in the notification light on your mobile phone. There are multiple sizes of SMD LED chips: 2835, 3030, 3014, 5050, 5630; they are termed according to their dimensions: length and width. For instance, the size of the 2835 is 2.8 x 3.5mm, 3030 is 3.0 x 3.0mm, 3014 is 3.5 x 2.8mm, 5050 is 5.0 x 5.0mm, and 5630 is 5.6 x 3.0mm. The SMD chips are small and close to the design of the flat, square computer chip. SMD chips have played a significant role in the progress for the LED industry because of the ability to put three diodes on the same chip. When a chip contains a red, green, and blue diode, it can create any color you want by adjusting the level of output from each diode on the chip. As they are very bright and can change colors, it can be used extensively for LED strip lights and light bulbs. The chip is protected with phosphor powder and looks like yellow or orange. The yellow one usually emits daylight white (6000-6500K), and the orange one generally emits warm white light (2700-3500K). One of the latest developments in LED industry is COB or “Chip on Board” technology which is a step forward for more efficient energy use. Similar to SMD, COB chips too have multiple diodes on the same surface. But the difference among LED light COB and SMD is that COB LEDs have more diodes. Linked to the 3528: 1 chip on board, or 5050: 3 chips, a COB LED light source can have multiple chips (dozens or even hundreds) on the same Printed Circuit Board (PCB). The COB has a printed circuit board on its substrate; diode chips are arranged in parallel or/and in series, based on the circuit of the PCB. The substrate can be either in aluminum or ceramic. The ceramic type has an improved thermal conductive performance which can guarantee a lower LED working temperature. Although the COB LED integrates various chips into one substrate, it only has two metal joining points: the anode and the cathode. As the COB mounts the chips directly to the substrate, which has a large cooling area, the COB has superior thermal conductivity compared to the SMD. As a result, when we design a circuit on the substrate, we may consider shortening the chips distance to get the COB size as tiny as possible. 1) SMD LED chips can have up to 3 diodes on a single chip, with each diode having an individual circuit. Each circuit has one cathode and one anode, leading to 2, 4 or 6 contacts in a chip. 2) This alignment is the reason why SMD chips are more versatile comparing to COB. The chip can contain a red, green, and blue diode. By using these three diodes, you can create any color simply by adjusting the output level. 3) SMD chips are known for their brightness, and it can produce 50 to 100 lumens per watt. 1) COB chips normally have 9 or more diodes. Moreover, COB chips also have 1 circuit and two contacts, regardless of the number of diodes. This simple circuit design is the reason for the panel-like presence of COB LED light where on the other hand, SMD light, appears like a group of smaller lights. 2) Though, COB LED lights cannot be used to generate color-changing bulbs or lights because there are only two contacts and 1 circuit. Multiple channels adjustments are required to create the color changing effect. 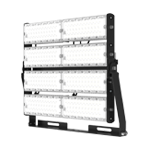 Hence, COB LED lights are efficient in single-color applications but not in versatile technology. 3) COB is known for better lumen per watt ratios and heat efficiency. 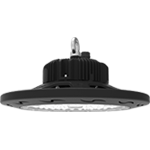 COB chips can produce a higher amount of lumens with less energy with a minimum of 80 lumens per watt. You can find it in all types of bulbs and applications, like the flash of your mobile phone or point-and-shoot camera. Why does the engineering design a smaller size COB LED? 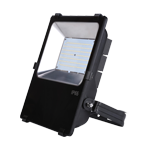 In the SMD phase, imagine you wanted to generate a 50 watt outdoor LED floodlight, while the 3528 only has a 0.06 watt. 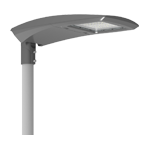 Which means you will need about (50/0.06=833) 833 pieces 3528 SMD on a floodlight overall, and even each 3528 SMD also needs space to ventilate and dissipate heat. 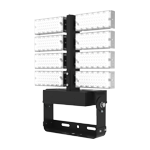 However, normally LED floodlights will not have adequate space for 833 pieces of 3528 SMD. It is not possible. But in this condition, the COB LED comes in handy, and the 50w COB LED dimension is only 36 x 36mm. Hence, 36 x 36mm will solve the problem, with 833 pieces of 3.5 x 2.8mm which is fantastic. 1) The SMD is more flexible, and the display of its chips is decided according to the printed circuit board layout, and it can be altered to meet different engineering solutions. 2) SMD light source has a bigger illumination angle of up to 120 & Phi; 160 degrees, small size and light weight of electronic products, high assembly density and the size and weight of the cover components are only about 1/10 of that of conventional plug-in components. 3) It has high reliability and strong anti-vibration capability. 4) Low solder joint defect rate and improve production efficiency. 1) Better thermal conduction. Hence, chips distances are shortened, and space is saved. 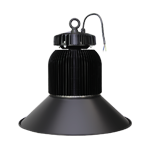 3) Generate a higher amount of lumens with less energy. 4) The circuit can be designed according to customer requirements, and the heat dissipation is more practical, which can effectively avoid the disadvantages like spotlight and glare of the discrete light source device combination. Due to the development of SMD LED technology, the high powered SMD, like the 3030 SMD, which has 0.9w rated power, is available to the market now. 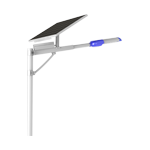 Hence, to make a high-powered floodlight with SMD, such as 100w integrated solar street lights or 70w high mast lights, became possible. To conclude, I would like to say that both the SMD and the COB have wide applications, but the SMD is relatively customized to meet various fixtures. Though, you can choose between SMD or COB types depending on your needs for energy efficiency and versatility. Next Post: Do LED lights get hot?